This is the view of the setting sun from our home--a scene we will never tire of. I did it in three pieces to convey the panoramic feeling of the sunset and the way you can see different aspects of it. 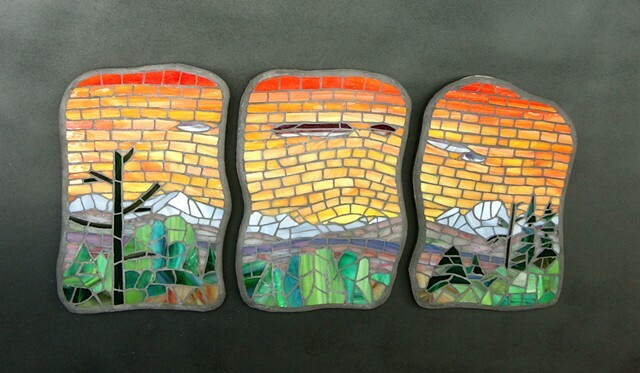 This sunset mosaic already has a home with our daughter.